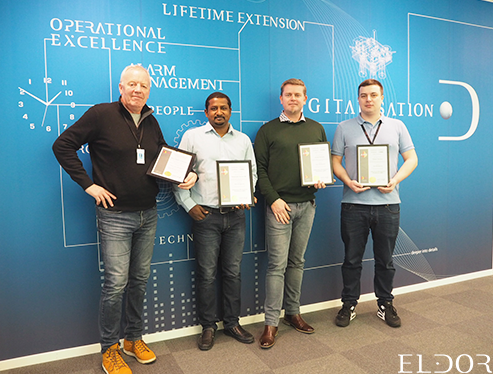 Eldor's participants in this course that lead to the title exida Alarm Management Practitioner (AMP) were: Tobias Tessem, Venkatesh Krishnan, Rune N. Andersen and Arvid Halrynjo. The feedback from the Eldor Alarm Management Practitioners is that the online training was a great success, with Todd Stauffer from exida as the instructor. We are also aiming for a new training session with exida this spring for even more Eldor employees. If you are interested in Alarm Management and would like to learn more about our expertise, please contact Anne Britt Aas (Dep. Manager Eldor for Alarm Management), or leave a comment below.